As you’re about to discover, they call them Black Death for good reason. 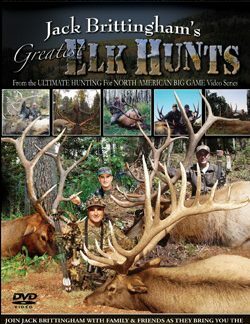 With backup guns poised and ready, watch as Jack Brittingham, sons Barron and Trevor, and friends, wade in the shadows of these imposing beasts in 15 over-the-shoulder hunts on the Dark Continent. 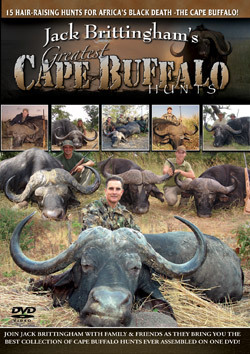 This adrenaline-rush collection of Cape Buffalo hunts includes a rare achery hunt with a raxor-edge encounter, plus double-bull hunts in a flurry of ringing bolt actions and hammering recoils. 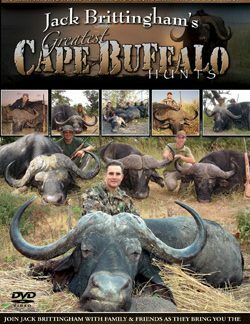 Go ahead, dare to feel the prickle of tension on the back of your neck as you stand along side these hunters tempting fate while facing the deadliest brutes in Africa.